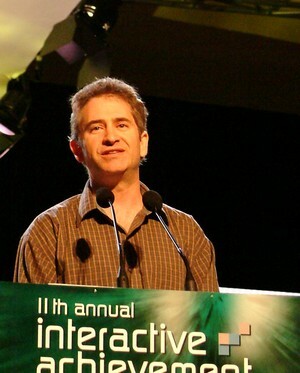 Mike Morhaime is a member of the Academy of Interactive Arts and Sciences. He spoke at the D.I.C.E.® Summit in 2008. He works for Blizzard Entertainment, where he is CEO. A: This is a complicated question. I don't look at only one thing. For a game, I measure the success in terms of player response (review scores, how many people are playing, and what are they saying?). For the company: employee satisfaction, player satisfaction, and profitability. I firmly believe that profitability flows as a direct result of employee dedication and player satisfaction, but I list it separately because if we're not profitable, we won't be able to continue doing what we do. A: Releasing a new game. Q: What's the one problem of game development you wish you could instantly solve? A: We have a very iterative process at Blizzard. We don't know how else to achieve the results that we have achieved. It would be great to bypass some of the iteration cycles and still wind up with an awesome game anyway. It would save a ton of time and money. A: No limit Texas Hold'em. A: I focus on the new user experience and try to make sure that the first 15 minutes of play are uber polished. Q: On a practical basis, what's the one thing you're going to tackle next? A: Practically speaking, I need to start going to the gym and working out. At Blizzard, we’re working hard to release StarCraft II and roll out the next evolution of Battle.net. A: Yes, games are entertainment, and entertainment is important. A: Games are getting larger, more complex and more expensive, making it more risky for publishers to invest in these large projects. Unfortunately, that may mean we will see fewer large projects or more companies getting themselves into difficult financial situations. Q: Do you think it's important for developers to continue playing games? A: Yes. Very important. And fun. Q: Finally, when you look at the future is there one great big trend that effects everyone? A: Digitization of everything, enabling anything to be available from anywhere, on-demand. This will continue to change the way that we consume our entertainment, and we'll wonder how we got along any other way.